We select the surf instructors for our Junior Surf Camp in France with great care. For us, it is of the upmost importance that our instructors are not only excellent surfers, but that they also have the knowhow, skills and experience to deliver great tuition too. By employing only the best instructors, we can guarantee that your surfing skills will greatly progress through our lessons. Every single one of our surf instructors holds an International instructing and lifeguarding licence. This ensures not only that you are being taught by an instructor with professional training, but also that you are safe in the water at all times. To further guarantee both your safety and your progress, in our Junior Surf Lessons in Moliets, we teach with an absolute maximum of 8 students per instructor. Small group sizes allow your instructor to offer you plenty of individual feedback and advice, and thus aid your progression further. 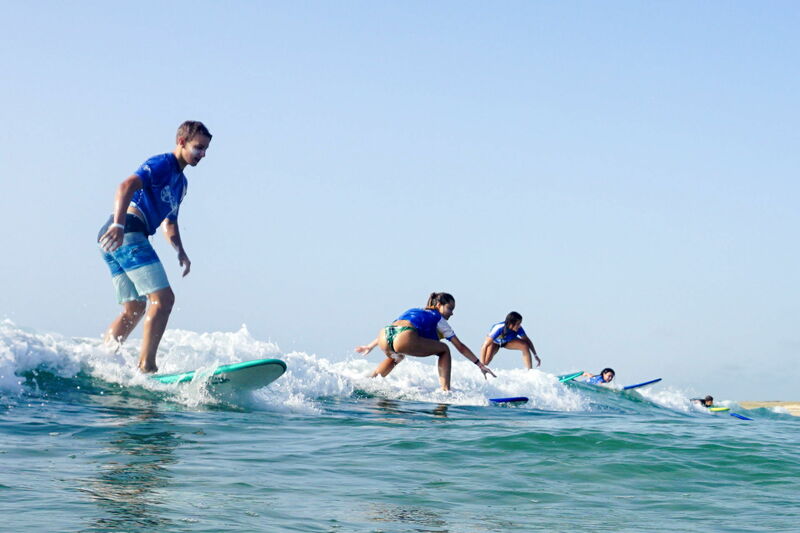 Furthermore, students are arranged into groups based on ability level, so that beginner, intermediate and advanced level surfers are taught separately. The result of being taught with other students of a similar ability is that you are never held back nor taken too far out of your comfort zone, enabling you to improve your surfing vastly. 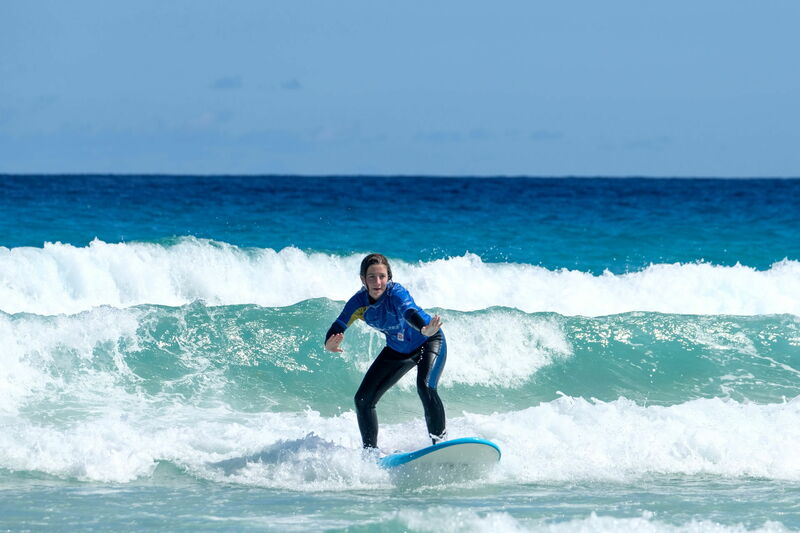 Teenagers joining our Junior Surf Lesson programme will undertake 24 sessions per week. Each session lasts 45 minutes, and thus sessions are grouped into lessons. This is most usually allocated as 3 hours of surf tuition per day, over 6 days of the week. This is far more than you’ll find is offered by the majority of other surf camps. 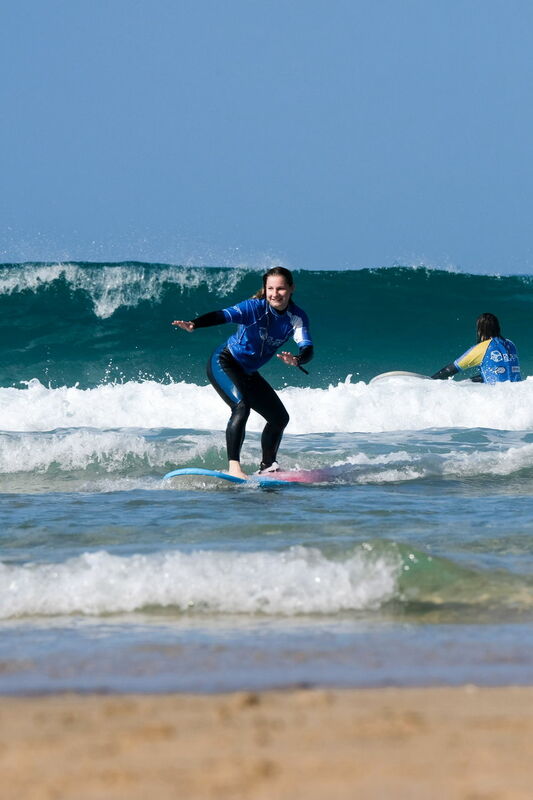 For teenagers who have never surfed before, there’s our beginner course! Your instructor will take you through the basics of surfing, and get you up and surfing the whitewash. They’ll teach you the three-step method to ensure that your progress isn’t hindered further down the line by poor technique. You’ll also be taught some basic surf theory to support your understanding and to keep you safe. Of course, our instructors will ensure that learning to surf is a lot of fun! For those who already have some prior surf experience, then there’s our intermediate level course. 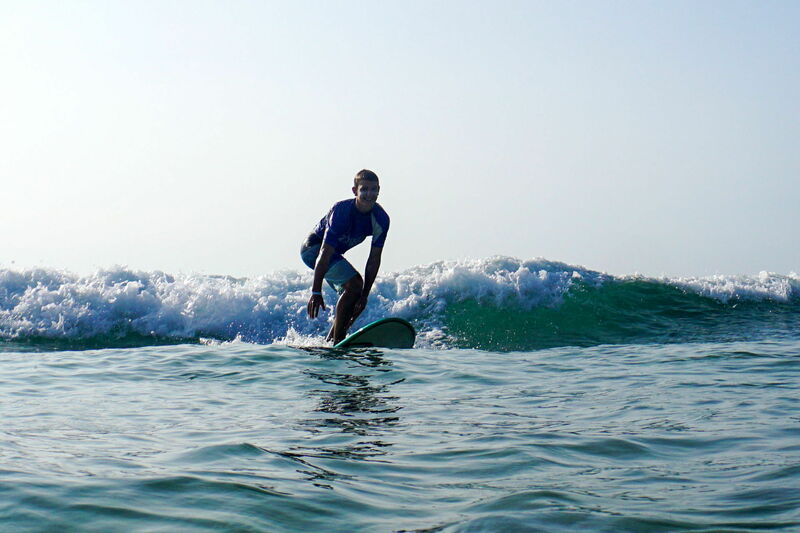 Our highly experienced instructors will help you progress from white-water surfing, to catching green, unbroken waves. Your time in the water will supported by sessions of land-based theory to give you further confidence and knowledge of what to do in the water. Take your surfing to the next level with our intermediate level course! Teenagers who are already comfortable catching green waves of up to 1.5m will be right at home in our advanced surf coaching course. In our advanced level course, students will work on improving their turns and manoeuvres under the guidance of their experienced surf instructor. The small group size ensures that students get plenty of individual feedback. Moreover, if students have something in particular that they’d like to work on, our instructors will be more than happy to help! 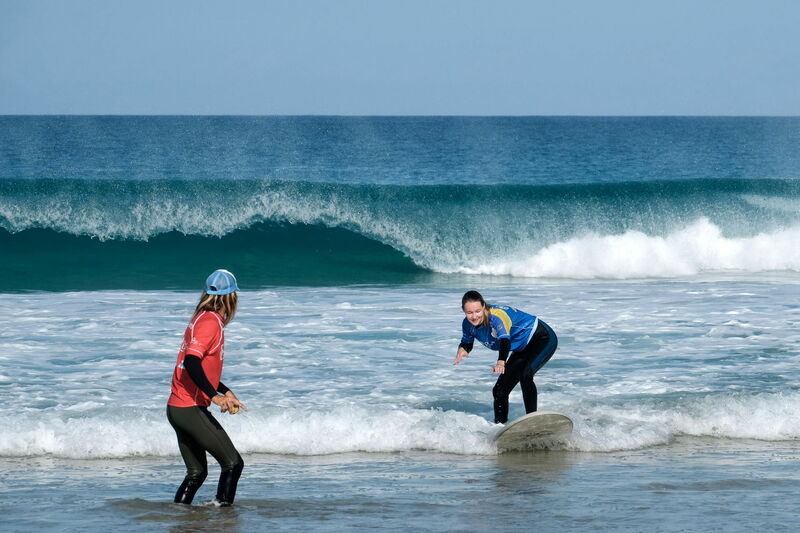 Our Junior Camp France instructors look forward to helping you to improve your surfing!